My prayers has been answered on the 7th day of the novena … ???????????? thank you Jesus and mother mary..
And thank you for this wonderful sight I feel so blessed to have found you … please keep my novenas coming .. God bless you for all your hard work ???? My Husband is cancer free after having part of left lung remove. Please pray for Cheryl’s healing as she’s transferred to another hospital for surgery. In Jesus name, Amen. Myself and husband are starting a Holy Souls Prayer Group from or home tomorrow, we would like prayers please for this to be a success. We have been under attack but managed to get through it. I have had been in hospital for 6 days and now on the sick, I am feeling much better. Please could I have prayer’s for my boss. He is a very unhappy greedy person and has a bad attitude mainly towards women. His wife has her own business too and they argue a lot. Ipray for your intercession in bringing about a closer bonding to the friendship that my friend and I have had over the years. Keep him close to the whole family and always nearby. 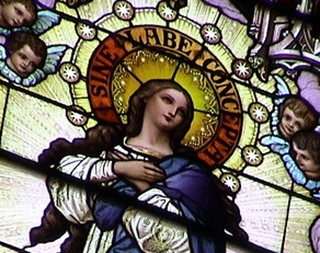 Please pray for me, Our Mother Immaculate Conception, for successful fertility treatment. Praying that this will result positive pregnancy for us husband & wife. Thank you Mama Mary. I ask for prayers for my family that they can get to know Jesus personally. I pray for my health to improve. I pray that I listed to Jesus to guide me to where I should move. Blessings to all of us united in prayer. Most blessed Mother Mary please hear my prayers for my husband, our families & the protection of ” The Family”. Praying for those brothers, & brother-in-laws for total conversion, renew hearts, to be more compassionate toward others & especially towards families. Stop the isolation towards husband and wife & placing all the attention only on the children. ( treating them like little gods and feeding their desires. ) Heal the minds of these men who were once strong Catholic Christians, lost their faith by forgetting Catholic teachings & not leading children in the Catholic faith. Prayers for the children caught up in the ways of living a life of self-interest & isolation to immediate family only not sharing with cousins , self-absorbed selfish behavior. Heal the minds all individuals involved in this lifestyle forgetting God. I trust you, most dearest mother that you will bring my petitions to my sweet Savior, your loving son, Jesus who died for our sins. Thank you for your Protection to do the will of God always. Amen???????????? I pray for Jan who is having surgery today. May she have a quick recovery. Please understand me, as I write this. I’m having a very difficult time believing that my living siblings, want nothing to do with the catholic faith. It was hard enough, to also find out that my siblings aren’t true to the faith. This is what really breaks my heart. I have to go alone it what is truly the most difficult way of life, since I know the family’s not all very appreciative of the catholic religion. I’m 61 years old, one of 7 children. I am the one who takes mt 89 year old mother to church. Sometimes I wish my siblings would help. They don’t follow the faith. The Catholic Church has done a good job of making me feel guilty. That’s why allot of people have fallen away. Don’t worry about your family . You are not the keeper of their souls. Take care of yourself and if you want to be Catholic then be content. Really it’s all the same God. Why is that difficult? Just live your faith. Relax, relax and enjoy the advent season. I pray for peace in the world and for religious freedom. Mama Mary, pray for us. Pls pray for my success in my studies, that i may graduate this april 2017. My Lord I’m pray for my neighbour Jeanette Morgan she have cancer . Heal her Strength her family .